Light and unusual pink wedding bouquet in which flowers can be picked at will or add more flowers from those offered in the store. 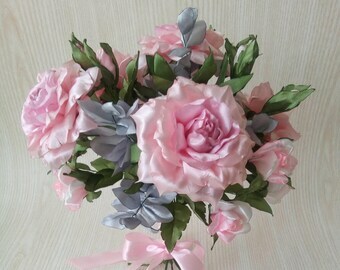 By purchasing this bouquet, you will receive as a gift a boutonniere for the groom. 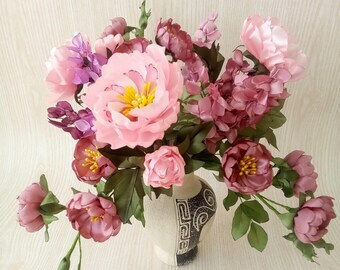 All flowers are made by hand from satin ribbons by hot firing. 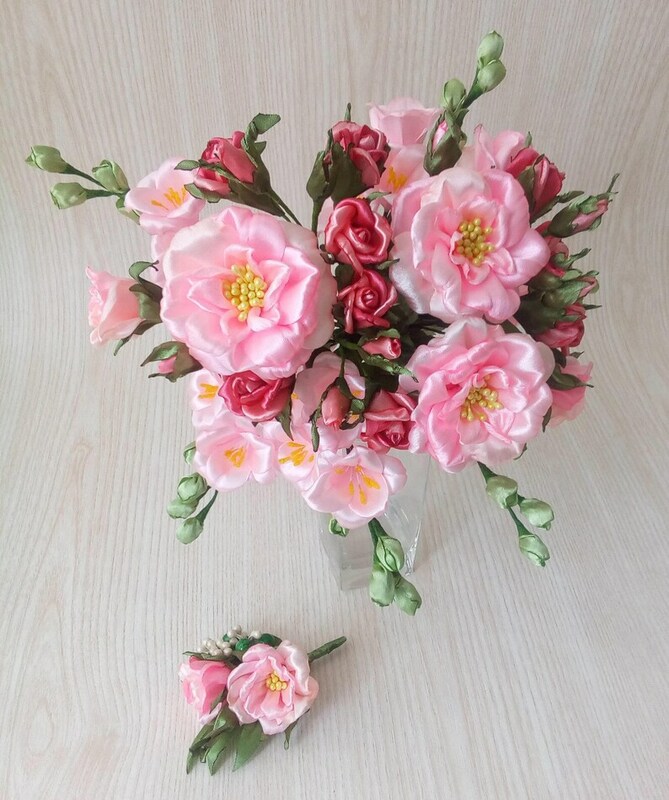 Flowers do not fade, do not lose their shape and do not deteriorate due to exposure to the external environment. The height of the bouquet is 25 cm / 10 inches. Caring for products from satin ribbons is quite simple. Flowers in bouquets enough to clean them with a soft vacuum cleaner. They can also be wiped with a damp cloth. In some cases, with large contaminants, you can splash out of the dispenser with water, shake and allow to dry. Products are made so that they do not change shape, do not deteriorate and do not lose appearance.